So Hubby and I had what I would call a Dutch date night last Thursday, Thursdays quickly becoming our regular dates nights. How very true those articles on how to stay connected and keep those romantic sparks alive in a marriage are. I’m pretty sure that Hubby has quickly realized that the way to fend off my whining is by spoiling me one night a week. See how easy it is? First we had a casual dinner at Jayakarta Restaurant in Berkeley. Unfortunately we didn’t have time to order the Rijstafel, which is the grand spread of small servings of various Indonesian dishes popularized by Dutch colonizers. What we did have certainly more than made up for this initial disappointment however. I never knew that tofu, eggs, bean sprouts and peanut dressing could go well together but Jayakarta’s Tahu Telor was so good that Hubby and I could’ve ate another plate. The Ikan pepes, a filet of fish cooked in banana leaf was refreshing, herbal and midly-spicy all at once. My favourite was the Rendang, chunks of beef marrinated in spices and coconut milk. It reminded me of Indian beef curry but with more complicated layers of flavours. Just a few blocks from Jayakarta, Shattuck Cinemas shows a mix of Hollywood blockbusters, independent and foreign films. 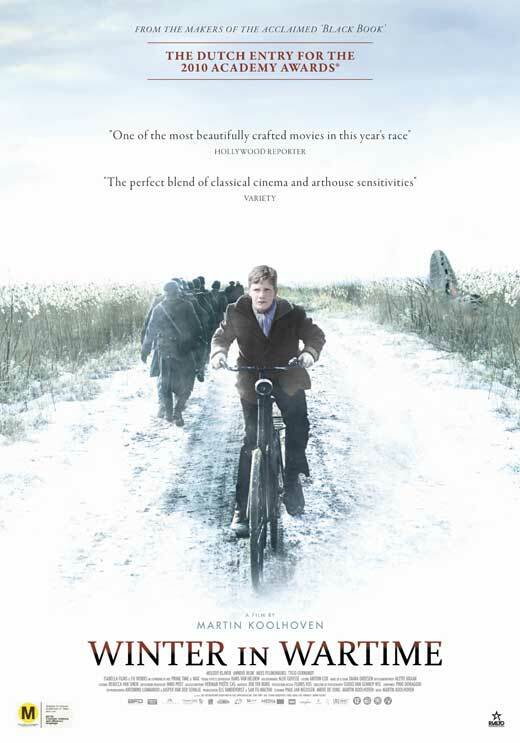 I’ve never seen a Dutch film before so was curious to watch this movie about a teenager who gets caught up with helping the resistance in The Netherlands during World War II. There’s certainly no shortage of World War II films but this one is different from your standard Hollywood fare. There’s no bombs, no massive battles, no heoric man who singlehandedly defeats an evil German unit. My first impression after the movie ended was that it didn’t have much character development but upon deeper reflection I realized that this shallower character development fits perfectly with the film because it’s supposed to be the war experience through the eyes of a sheltered 14 year old boy. The beginning is a bit slow but picks up at the end. I commented to Hubby, who of course thought it was the best movie ever, that the Dutch on screen didn’t sound like his. Hubby says that he has a Westland accent, which is a bit rougher than the Dutch spoken by city folks. Must be like how Jersey accents sound so grating to me. Sorry Jersey folks.